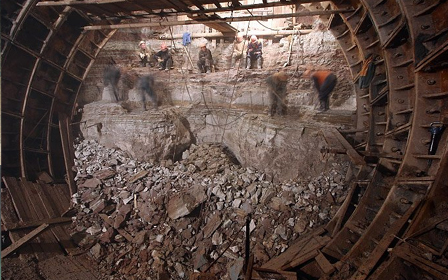 What motivates humankind to burrow deep into the Earth? From London to Paris, Budapest to Moscow, the USA to Australia, here are seven of the most amazing examples in the world. Some were built for military defense or shelter, many are abandoned while others thrive. 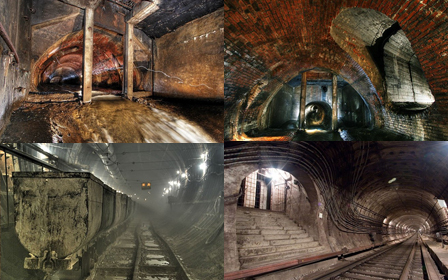 These amazing images feature tunnels, caverns, crypts an labyrinths from seven underground location around the world, following the acclaimed 7 Underwater Wonders and 7 Abandoned Wonders of the World from our 7 Wonders Series. 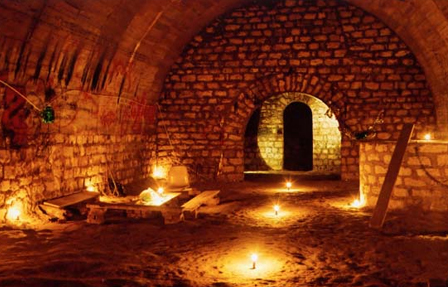 Paris, France: There are extensive networks of catacombs, quarries and other tunnels running under the capital of France. 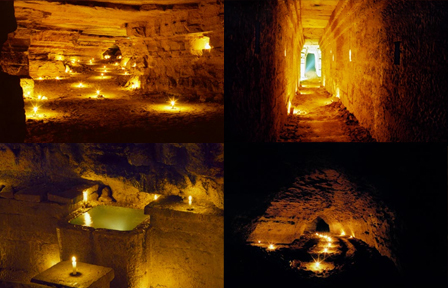 Some of these amazing photographs were taken by urban explorers who lit the scenes with candles, producing remarkable image effects. 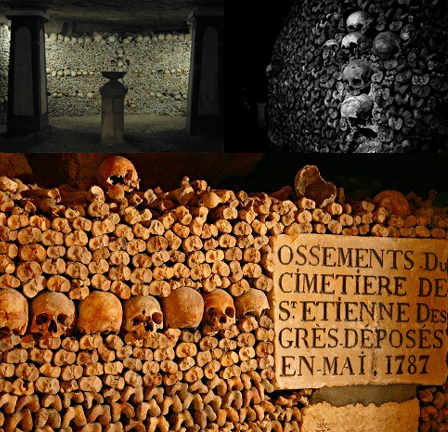 The other images show the work of Paris General of Police from the late 18th Century, when disease led the city to bury bones underground in unused quarries rather than risk further infection of the population. 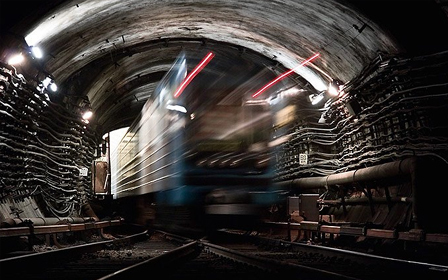 Moscow, Russia: This particular photographer is uniquely privileged, as an official government photographer, to take rare looks and snapshots of the myriad tunnels of all kinds running underneath Moscow. Clearly he does a great deal of post-production work, giving these images an air of surreality. Still, they are incredibly impressive and show a compelling range of locations. 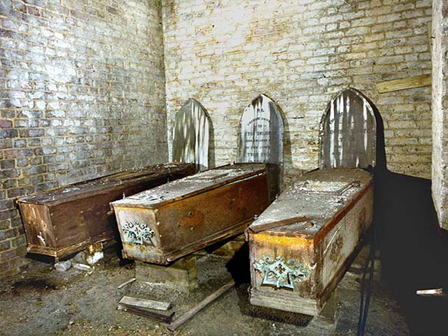 London, England: The West Norwood Cemetery has a remarkable collection of historic monuments. 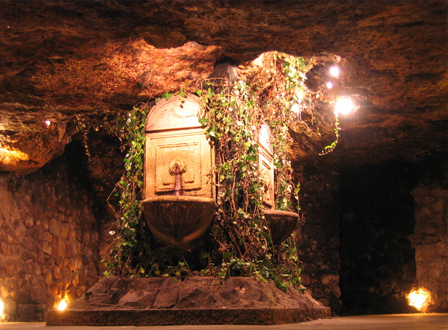 Even more fascinating, however, are the catacombs below the chapel on site. 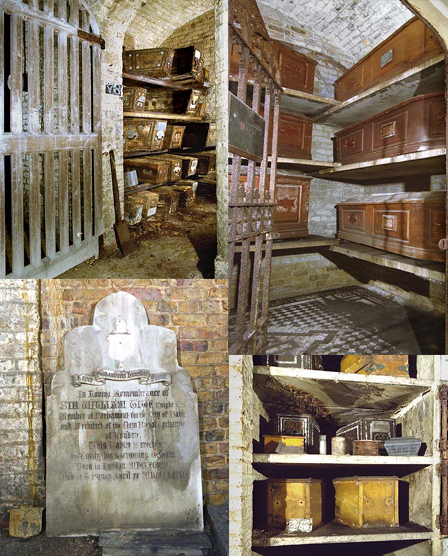 As these images show, there is a remarkable collection of coffins in spaces of various sizes. The mahogany coffins have largely survived the test of time, while the pine ones have not fared quite as well. All in all, a beautiful collection, and largely left to wear naturally with time. 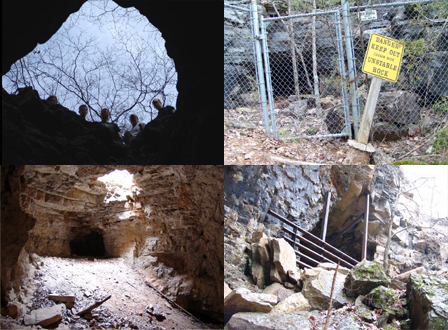 Ozarks, Midwest: The Ozark mountain range is filled with caverns and mines that date back generations. 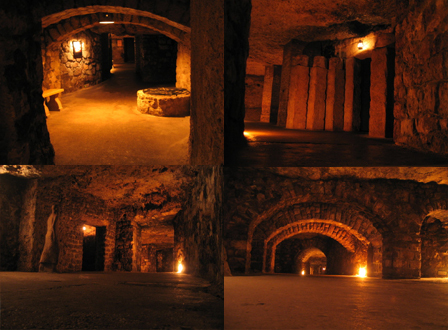 They are perhaps most famous for being the site where Radium was discovered shortly after radioactive elements were beginning to be understood in Europe. These more recent explorers featured here have certainly shown dedication, bringing along a raft to use flooded areas. 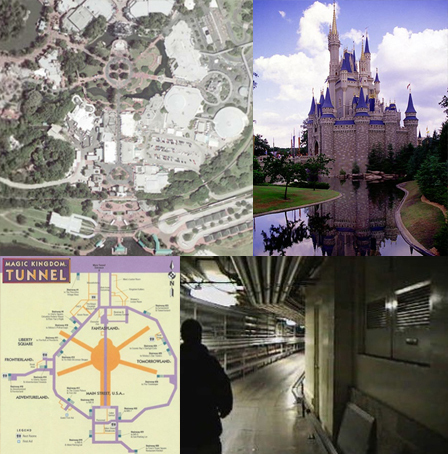 Orlando, Florida: For a long time, mysteries circulated about tunnels underneath the so-called Magic Kingdom. As it turns out, the rumors were true: Disney World has an extensive system of underground passages used my employees to travel quickly and discreetly from place to place. These highly private tunnels are large enough to accommodate vehicles as well as pedestrians, and connect a series of offices, kitchens, cafeterias, storage and break rooms, which all lurk below the glittering facade of the world’s most famous theme park. 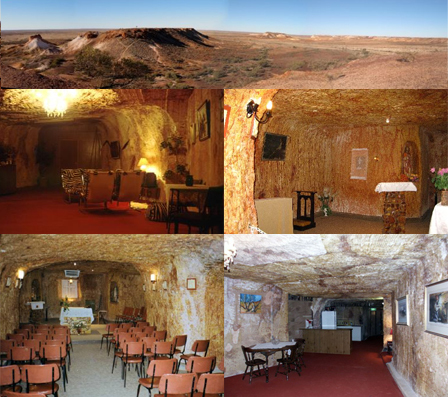 Coober Pedy, Australia: This small town in the middle of nowhere, Australia, is home to some of the strangest houses on Earth. 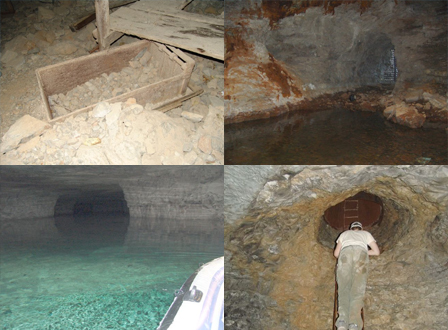 A combination of climactic conditions and the existence of opal mining in the region have literally driven the residents underground. Everything from residences to churches are carved out of the ground as the above images show. The place is something of a tourist attraction, with underground hotels as well as a golf course above ground – though golf is played at night due to the regional heat! If you are interested in exploring abandonments, check out this Beginner’s Guide to Building Exploration, these Urban Exploration Images and Links and 7 Tips for Legally Visiting Historical Abandonments. 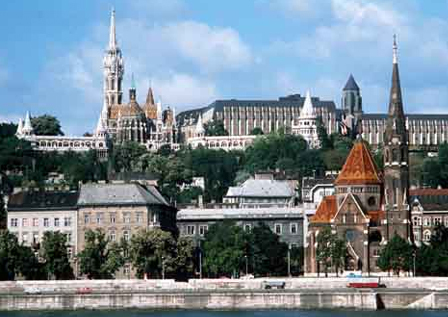 Also see our 7 Abandoned Wonders of Europe, Russia and America. 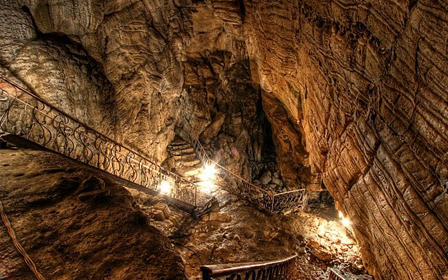 Know of more underground wonders of the world? Feel free to add them in the comments below!